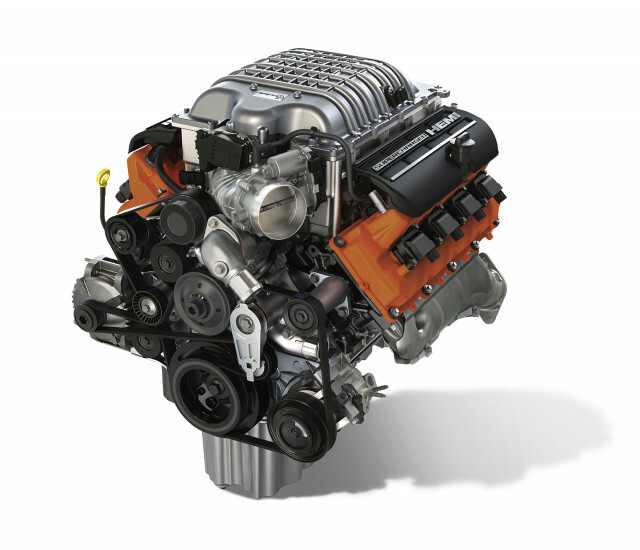 Moparproshop.com is throwing power-crazy fans a bone and is currently offering the Hellcat crate engine, appropriately deemed the “Hellcrate,” at a massive discount. The website, which is affiliated with Galeana Chrysler Jeep in Columbia, South Carolina, shows the final sale price before tax at $14,998, a discount of $4,532 over the normal price on the site and on the official Mopar website. The crate engine normally sells for $19,530, and it includes everything needed for near turn-key operation. A wiring harness, accelerator pedal, oxygen sensors, fuel pump control module, and more are all included to give any project car the Hellcat treatment. Not included is the front end accessory drive kit, which adds an alternator, a power steering pump, belts, and pulleys. That kit is an additional $2,195. With a couple clicks, a Hellcrate engine will be shipped out and ready for installation. With it, 707 horsepower and 650 pound-feet of torque will be on tap, just like you get in the Dodge Challenger and Charger SRT Hellcats and the Jeep Grand Cherokee SRT Trackhawk. Until the Dodge Challenger SRT Demon came around, with its 840-hp supercharged 6.2-liter V-8 engine, the Hellcat engine was top dog. And it’s still a formidable straight-line shooter. Motor Authority reached out to Moparproshop, and a representative said the site tends to discount its crate engines based on the pricing it can get from Mopar and with the understanding that customers will also likely buy other parts and accessories for their projects. The site doesn’t know how long the sale will continue, so it might be best to buy while the price is right.